The problem with ads for car dealers is that everyone in the entire category wants to use the same language and cliches. They’re like a bunch of dogs in a pen all sniffing each other’s butts – no leadership or differentiation. And it’s not that car dealers don’t know that they do this, they just don’t have the balls to do something different. Now, to be clear, Jim Gilmore was that guy already. You can’t just brand a business owner as something they’re not, because at the end of the day, the business has to deliver on the promises made in the advertising. My advantage was that Jim Gilmore and his were already very sincere and “Canadian Nice.” They just needed a Tentpole and a spotlight. The tentpole was “The Huggable Car Dealer,” and the spotlight began with a whole lot of radio airtime. But the advertising extended well past the radio. We also started giving embroidered and branded Teddy Bears to all the kids who came into the dealership with their parents. And that little bit of sincere showmanship was a smash success. It quickly got to the point where we were giving away so many bears that we had purchase them by the container-load from China. At any rate, by the 3rd or 4th month of our campaign, Jim Gilmore began having his best month ever, month after month. By one year in, we were routinely selling over 100 to 120 cars a month, whereas prior to becoming “The Huggable Car Dealer,” they were typically selling 30-40 cars a month. 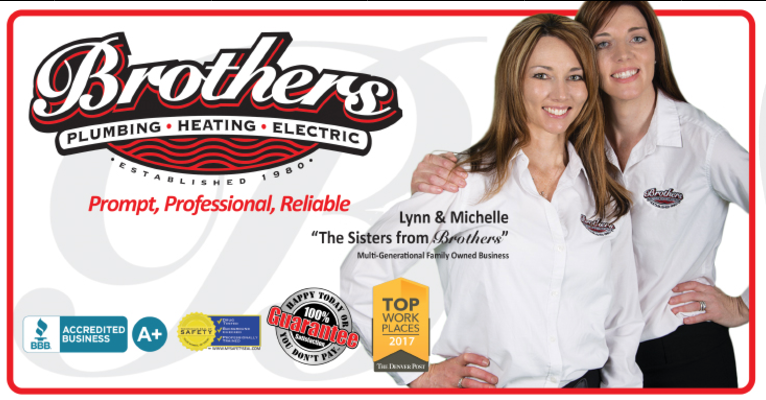 Over the last four years of their new campaign, Brothers Plumbing has experienced solid double-digit growth every year and the sisters have became local celebrities and household names. 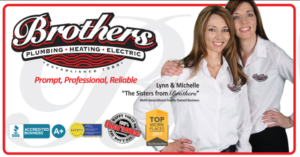 Bakeris Roofing in Iowa hired me five years ago, and the first thing I noticed about the owner, [name], was his insistence on professional integrity from his staff. Sounds like that might be par for the course on any good business, but in the roofing industry, it’s more rare than you’d think, and [name] took it more seriously than most business owners in any industry. The other thing we did was to buy IowaRoof.com. Someone else had it, but we managed to buy it without too much hassle or expense, and it was worth every penny we paid for it. With that domain name, we never had to teach people to spell Bakeries on the air, and we never had to hope that Google would interpret prospect’s best guess at the spelling and direct them our way. Instead, they came direct to IowaRoof.com. Worked like a charm. As a result of all this, Bakeries Roofing has seen double-digit growth every year for the last five years and has even expanded from radio to TV advertising. Before Brian Leach hired me, his company was Leechman Service Legends. And while he was advertising on the radio, his ads sort of sounded like typical radio-station-written ads. Which was a shame because Brian is a natrual-born storyteller. 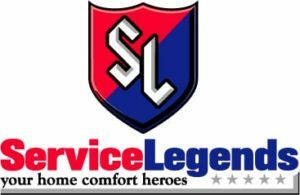 So I had Brian drop the “Leechman” from the name and become “Service Legends.” And their tentpole was “Home Comfort Heroes.” Now, to be honest with you, that’s not a tentpole I’d normally feel comfortable with, as it sounds a bit too self-aggrandizing and advertisishm, if that’s a word. But here’s the thing about Brian Leech: he’s the real deal, in terms of a Midwest man’s man: he’s real active in his church, happy to talk about his faith in ads, and happy to put his money where his mouth was in terms of being a home comfort “hero.” He really did hire and train his guys to go out in the middle of blizzards and snow storms to ensure people had heat in their home. Heck, he trained them to do it because he did it himself. In a cold winter, a furnace repair could truly be an emergency, and the HVAC techs who could swoop in and save the day, really were heroes. In a cold winter, a furnace repair could truly be an emergency, and the HVAC techs who could swoop in and save the day, really were heroes. So since the cape fit, we went with it. And we had Brian tell those kinds of stories in his ads on the radio. It worked magic. The beautiful thing about the story with Brian and Service Legends isn’t just that we doubled the size of his company (we did). It’s that his annual sales relative to the size of his market (a fraction of Sacramento and Denver, for example) speaks volumes to the market dominance that we have achieved.